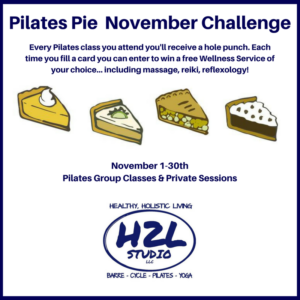 Pilates November Challenge - Collect the Pies! Want to win a FREE massage, reiki or reflexology appointment? The answer is always yes. For the month of November, we’ll help you do just that! By collecting all of the Pies in our Pilates Pie Challenge, you’ll be entered to win a free, hour-long wellness service at the studio. For each Pilates class or private session you take, you get a punch in your pie card. After 4 punches (every 4 classes), write your name on your card and drop it in the mixing bowl. At the end of the month, we will choose a winner. The winner can pick the wellness service of their choice, a full massage, reiki or reflexology appointment. 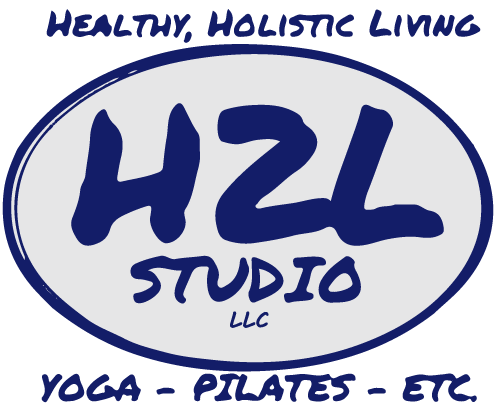 What’s new in the Pilates room? You mean aside from this exciting give away? 🙂 Our new Pilates monthly packages! We are now offering a 6x and an 8x a month auto-renewing Pilates package. These packages are auto-renewing and offer a discount because of it.